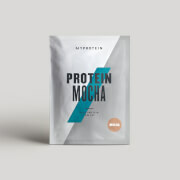 Each serving is loaded with 15g of plant-powered protein, helping you to hit requirements to grow and maintain important muscle2 — helping you to progress and perform in your training. Enjoy a fruit-flavoured shake any time you need a natural pick-me-up — this blend is great for between meals, or as a refreshing post-workout protein boost. What does Vegan Superfood Blend work well with? To support your plant-based fitness journey, try with our Vegan BCAA 4:1:1 — which will give you an optimal 2:1:1 ratio of the essential amino acids leucine, isoleucine, and valine. For allergens, including cereals containing gluten, see ingredients in bold. May also contain milk and egg. Strawberry Stevia Flavour: Pea Protein Isolate (40%), Flavouring (Flavouring, Colour (Beetroot Red), Sweetener (Steviol Glycosides)), Inulin Powder (14%), Plant Extract Powder (12%) (Emulsifier (Soya Lecithin), Spirulina Powder, Apple Fibre Powder (Contains Sulphites), Barley Grass Powder, Wheat Grass Powder, Oat Flour, Alfalfa Grass Powder, Chlorella Powder, Soya Flour, Acerola Berry, Beetroot Powder, Pomegranate Powder, Siberian Ginseng, Carrot Powder, Tomato Powder, Astragalus Root Powder, Broccoli Powder, Spinach Powder, Gingko Biloba Extract, Green Tea Extract, Grape Seed Extract, Elderberry Powder, Bilberry Fruit Powder), Flaxseed Powder (9%), Brown Rice Protein (6.5%), Green Tea Extract Powder (1%), GanedenBC30® (Bacillus Coagulans GBI-30, 6086). Banana Stevia Flavour: Pea Protein Isolate (40%), Flavouring (Natural Flavouring, Colour (Curcumin), Sweetener (Steviol Glycosides)), Inulin Powder (14%), Plant Extract Powder (12%) (Emulsifier (Soya Lecithin), Spirulina Powder, Apple Fibre Powder (Contains Sulphites), Barley Grass Powder, Wheat Grass Powder, Oat Flour, Alfalfa Grass Powder, Chlorella Powder, Soya Flour, Acerola Berry, Beetroot Powder, Pomegranate Powder, Siberian Ginseng, Carrot Powder, Tomato Powder, Astragalus Root Powder, Broccoli Powder, Spinach Powder, Gingko Biloba Extract, Green Tea Extract, Grape Seed Extract, Elderberry Powder, Bilberry Fruit Powder), Flaxseed Powder (9%), Brown Rice Protein (6.5%), Green Tea Extract Powder (1%), GanedenBC30® (Bacillus Coagulans GBI-30, 6086). Blueberry & Raspberry Stevia Flavour: Pea Protein Isolate (40%), Flavouring (Natural Flavouring, Colours (Beetroot Red, Anthocyanins), Sweetener (Steviol Glycosides)), Inulin Powder (14%), Plant Extract Powder (12%) (Emulsifier (Soya Lecithin), Spirulina Powder, Apple Fibre Powder (Contains Sulphites), Barley Grass Powder, Wheat Grass Powder, Oat Flour, Alfalfa Grass Powder, Chlorella Powder, Soya Flour, Acerola Berry, Beetroot Powder, Pomegranate Powder, Siberian Ginseng, Carrot Powder, Tomato Powder, Astragalus Root Powder, Broccoli Powder, Spinach Powder, Gingko Biloba Extract, Green Tea Extract, Grape Seed Extract, Elderberry Powder, Bilberry Fruit Powder), Flaxseed Powder (9%), Brown Rice Protein (6.5%), Green Tea Extract Powder (1%), GanedenBC30® (Bacillus Coagulans GBI-30, 6086). GanedenBC30® is a registered trademark of Ganeden Biotech, inc. The nutritional information is based on the Blueberry & Raspberry Stevia version, when choosing an alternative flavour the nutritional values may vary. 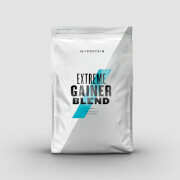 Ready to mix protein powder blend made with pea protein isolate, with added plant extract powder, flaxseed, brown rice protein and green tea extract with flavouring. Very mild not a great drink, but in small doses is nice! Not super tasty but not offensive! Gives me gases if I consume more than 15 grams per day, probably due to the probiotics. I wish they got rid of the probiotics or made a non-probiotic version. Bought strawberry, tastes and mixes good otherwise. The vegan superfood protein shake is one of my greatest finds. Beautiful in taste, the blueberry & raspberry flavour is my favourite and mixes incredibly well with soya milk - offering a shake full of body & sustenance. I have got my non-vegan colleagues & friends to try this blend, and all are astonished at the fact of it tasting so good and being vegan. I would highly recommend this product to anyone and everyone, looking for that nutritious boost.